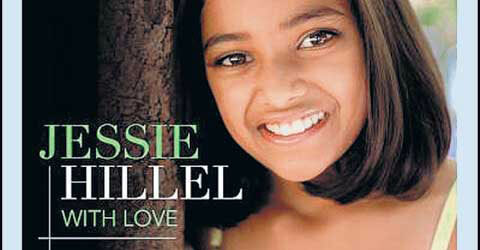 MAKING TRACKS: Jessie Hillel, 11, runner-up on New Zealand’s Got Talent is releasing her first album. See the video at the bottom, her rendition of Ave Maria. Jessie's mother is from Kaloor, Kochi and her Father is from Kottayam, Kerala. The 11-year-old songstress who captured the country's attention last year on New Zealand's Got Talent is set to release her first album. Competition runner-up Jessie Hillel can't wait to hear the final cut of the album With Love, recorded in Auckland, which will hit the shelves on April 26. "It'll be really fun to walk into a store and see yourself on the album," said Jessie, who lives in Churton Park, Wellington. The CD is a collection of classical music and popular opera tunes, including Ave Maria - which she sang on the TV show - and Wishing You Were Somehow Here Again, from Phantom of the Opera. She said she did not have a favourite track, but Orinoco Flow was the most fun to produce. She sang in the studio with the Marina View School choir from Auckland. "It was really cool to hear it come together piece by piece." Jessie's success on New Zealand's Got Talent has opened up several other opportunities for the year 7 Otari School pupil, who has been singing since she was 3. She was invited to represent New Zealand at last year's International Children's Concert, which screened on television in China on New Year's Eve. Albums and international concerts - on top of school, singing lessons, and learning the guitar - might seem enough to keep her busy, but Jessie is also getting involved with the Make-A-Wish Foundation. However, her first priority was still the same as always: "Work hard, practise heaps and continue singing. Never give up."